When you require air conditioning maintenance in your Saratoga, NY home, count on the experts at Family Danz. For more than 30 years, we’ve offered quality AC maintenance to our customers in Saratoga, NY. We’ve stayed in business so long because we strive to ensure our customers’ air conditioning systems run both effectively and efficiently. 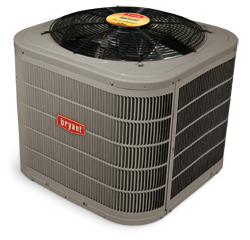 Family Danz provides prompt, professional air conditioning maintenance for your Saratoga, NY home. Our highly trained technicians have the skills to ensure that you’re getting the best possible service, and they can provide maintenance on virtually any make or model of air conditioning system you might have installed in your home. What that means is that no matter whether or not you purchased your AC system from us, we can still provide you with the best air conditioning maintenance available so that your home is cool and comfortable. We provide Saratoga, NY residents with top-notch air conditioning maintenance, and we believe that we offer our customers the best workmanship – and the best air conditioning products – available. Our highly trained technicians can maintain any make or model of air conditioning system. They promise you will be 100 percent satisfied with their work, whether they’re providing AC maintenance in your Saratoga, NY home. Trust Family Danz for the AC maintenance you need for your Saratoga, NY home. By choosing AC maintenance from Family Danz, our skilled technicians provide a complete inspection of your Saratoga, NY home’s air conditioning system. They’ll work to ensure that your system is performing effectively on all levels, and will work to ensure that it runs beautifully now and for years to come. When you need air conditioning maintenance in your Saratoga, NY home from an AC contractor who will treat you like family, count on the professionals at Family Danz Heating & Cooling. No matter whether you need air conditioning maintenance or other services, we’re happy to assist you. Simply call us at (518) 427-8685.